Two bills authored by Assemblymember Tim Grayson (D-Concord) to improve safety in our communities passed the Senate Public Safety Committee with unanimous support. The first bill, AB 1920, makes it a misdemeanor to intentionally and fraudulently impersonate a member of a government-affiliated search and rescue team. 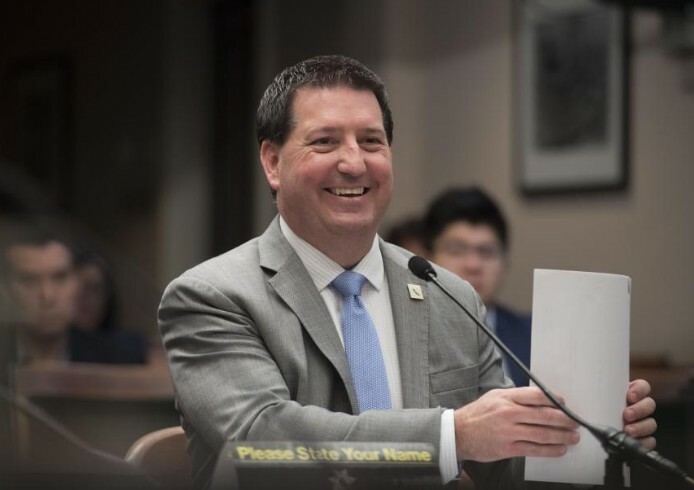 “This bill will work to protect the public and the integrity of our professional search and rescue workers who have dedicated their time and energy to be officially trained, registered, and affiliated with government jurisdictions,” said Assemblymember Grayson. Reports by California law enforcement have found that there has been a rise of unaffiliated groups impersonating “Search and Rescue” workers without the proper certification. Often, citizens do not realize that these groups are not vetted, trained, or affiliated with any charity or law enforcement group, and are misled into donating money to what they believe is a good cause. AB 3112 makes it unlawful for a manufacturer, wholesaler, reseller, or retailer to sell non-odorized butane to a customer. By requiring an odorant to be added to butane and regulating its sale, AB 3112 creates a disincentive to scofflaws who want to use it for the criminal activity of making butane hash oil. Several recent fires and explosions originating from illegal labs in California have resulted in the deaths of at least 41 people, including three children, between 2011 and 2015. In addition, these odorless toxins can be hard for firefighters to detect and expose public safety personnel to dangerous levels of carcinogens. AB 1920 will next be heard by the Senate Appropriations Committee, while AB 3112 heads to the Senate Judiciary Committee for further consideration. So does this mean that the sticky shatter purchased from Marijuana Sales people is made with butane ?? Hmmm, just wondering. This is a real backwoods way to make it. You can cook down “shake” in a pot of coconut oil – no explosions and plenty strong enough & without the chemicals from butane. What the heck is hash oil? What the heck is hash oil? And why do we care? Hash oil is made by drug addicts and they use butane (large amounts)to make this drug! It causes fires when manufactured and has caused innocent people great harm! Death and severe burns by the volatile explosions caused when making Hash oil! Great legislation to stop these morons from buying the butane in large amounts! Just like rubbing alcohol in CA. Now if you are a legit business owner using these chemicals you have a mile of paperwork and it’s very hard to get and regulated out the nose. Am I understanding this right? Tim Grayson is more worried about hash users then the crime or homeless problems in Concord? The California politicians can’t handle the real issues that plague the state – like crime, education, housing, jobs, crumbling infrastructure and the like. So, what they do, is make up little trivial insignificant issues for themselves to handle, so they can feel good about themselves make themselves look important and valuable. AB2679 goes into effect in 2018, protocols for extraction labs. Looks like that’s been covered Tim. Already laws in place for imposters scamming people Tim. Just like Pelosi, Lee, Feinstein, Hogg kid, ad nauseum – all they seek is additional support for the DNC instead of backing and exacting enforcement of gun laws instead of creating new laws for “gun control”! This so-called legislation is no different. Unless there are teeth included, the bill pretty much is just cannon-fodder and profit for paper makers. Our system is broke. We have career politicians who feel a need to “accomplish” something. I would gladly double every politicians salary in exchange for returning to part time legislature. Grayson should get the award for the most epic waste of my tax dollars, in fact I think I will start a Go Fund Me to support myself while I research his accomplishments. Taco and Patriot hit it on the head! Certainly there are more important issues that deserve our elected officials attention. Previous post: The Water Cooler – Eating, Reading, Shaving, Putting On Makeup, Etc. – Should It Be Illegal While Driving?